Q: What is the difference between Matte and Gloss paper stock? with 4-color printing to make colors appear more vivid. Q: What is the difference between cover stock and body stock? A: Cover stock is thicker than body stock and is commonly used for outside pages. Body stock is thinner and used for inside pages. Q: What is 1-color printing? A: 1-color printing uses only one color. Generally 1-color printing is black ink, although other colors such as red, blue, and brown can also be used. Q: What is full-color printing? 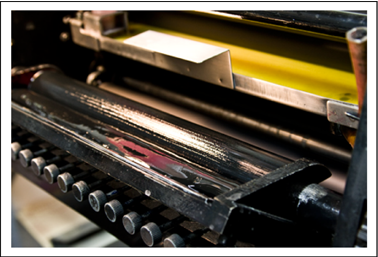 A: The highest quality print publications are printed in full-color using the 4-color printing process. The 4-color printing process uses the CMYK or Cyan-Magenta-Yellow-Black process. Full-color allows you to choose from nearly any color possible for your printed material.